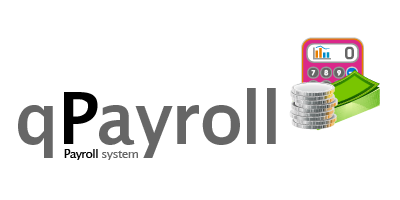 SMB Payroll System: What is QPayroll? QPayroll-Private SMB edition is a complete payroll system solution customized for Philippine Small to Medium sized businesses. It is a web-based system and it runs on any available browser. It automatically generates Payroll Summary, Pay slip and Contributions Summary. · Employee Information – Store and Retrieve Information of employees including what type of earner, which department does he/she belong to, and what salary/rate they are receiving. · Department – Manage the different department of the organization. · Employee Contributions – Maintain all employee contributions premium schedule such as salary range, monthly contribution, employee and employer share and funds for SSS, PhilHealth, PAGIBIG and Provident / Savings. · Employee Tax – Manage employee tax exemption, schedule and rate. · User Account – Manage account of all system users. System administrator may set permission levels of all system’s users. QPayroll is programmed in ASP and VB.net version 9.0 running on .Net Framework 3.5 and it uses MS SQL server or MySQL database. Professional Payroll Company is able to clearly define the separation of duties, providing transparency and an audit trail if needed.